I have just finished reading the book Shyamchi aai written by Sane guruji and I cannot stop the tears flowing from my eyes which I experienced after every chapter of the book which reflected a mother’s unconditional affection for her son. Deeply emotional, equally entertaining, Shyamchi aai is autobiography of Sane guruji’s childhood and reminiscence of his late mother yashoda who imbibed truth, compassion, kindness and values in his mind with her teachings. The opening of the book begins with Sane guruji narrating his mother’s memories to children of ashram which takes them down the memory lane at Palgad, a small village based in Konkan. Every chapter that I read I have experienced that these stories are a reflection of every child and his love towards his mother. But unfortunately nowadays the younger masses are so immensely influenced by westernized culture that they ignore their parents and give more preference to mean friends. This book is a eye opener for every son or daughter who neglect their parents . One of the episode of this book is very close to my heart where shyam hides in his house to avoid swimming in water as he fears water and is teased by his friends. How can a mother tolerate the world taunting her son as coward? shyam is bitterly thrashed down by his mother and dragged to the well where he finally learns swimming. In this chapter, it shows that if mother can shower her love to her child, she can also thrash her child if he is mistaken or showing any ignorance towards his duties. After reading this chapter, I came to a conclusion that mother’s love is not blind, it actually leads us to right path.This episode of sane guruji’s life was included in the SSC marathi literature and I still cherish the memory of mugging down the grammar, answers just to score marks. This story isn’t just about a mother and a son, it also conveys about a father’s love, respect towards Indian culture and elders. The book sadly ends with untimely death of sane guruj’s mother and unfortunately shyam is not with her at the last moment of her life as he is pursuing education in a far off village. This moment is very heart rendering and I was deeply touched about this mother who longed for happiness and success of her children. 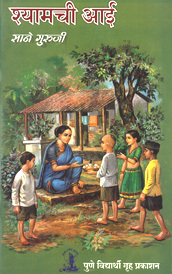 This book was adapted and made into motion picture in marathi language titled same as the book. Even the movie was equally entertaining and is still remembered today for sincere performances. The scenic description about Palgad village is mentioned very beautifully in the book and there are many other memorable characters in this book like purshottam( shyam’s brother), durvanchi aaji( grandmother), dada( shyam’s father), venutai. This book gives insight on the culture of our Hindu tradition like taking meal in patravali,cooking tasty dishes like shrikand vada and cultural events like Savitri Vrat, Somvati Avas. When I finished completing this book, I discovered a new perception of life, a divine satisfaction, peace which a bhakt (devotee) receives after praying to God. Very nice article ! Very Good !! Nice and moving article. If you dont mind small corrections. In your narration about Shyam’s swimming it should be “her son as coward” and not his son a coward. Further, it was a well and not a river to which Shyam was dragged. Thanks for making me aware of this mistake. I welcome and appreciate the suggestions given by you. Shyamchi aai was really a great book and writing the article on it was an enlightening experience. Hope you enjoyed reading this post. The error in this artice has been rectified. where i can i get this book? i heard that it is very old one and is not avaiable in book stores now. where i can i get this book? Is English translation of this book available? This English translation of this book was published in May 2008. I am so glad that you have selected the amazing subject for this blog as amazing as the book.Keep doing good work.Happy happy. Thanks for the encouraging comments. 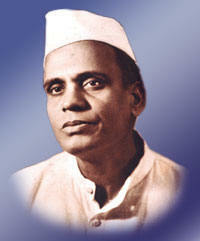 Shyamchi aai is a masterpiece in marathi literature.